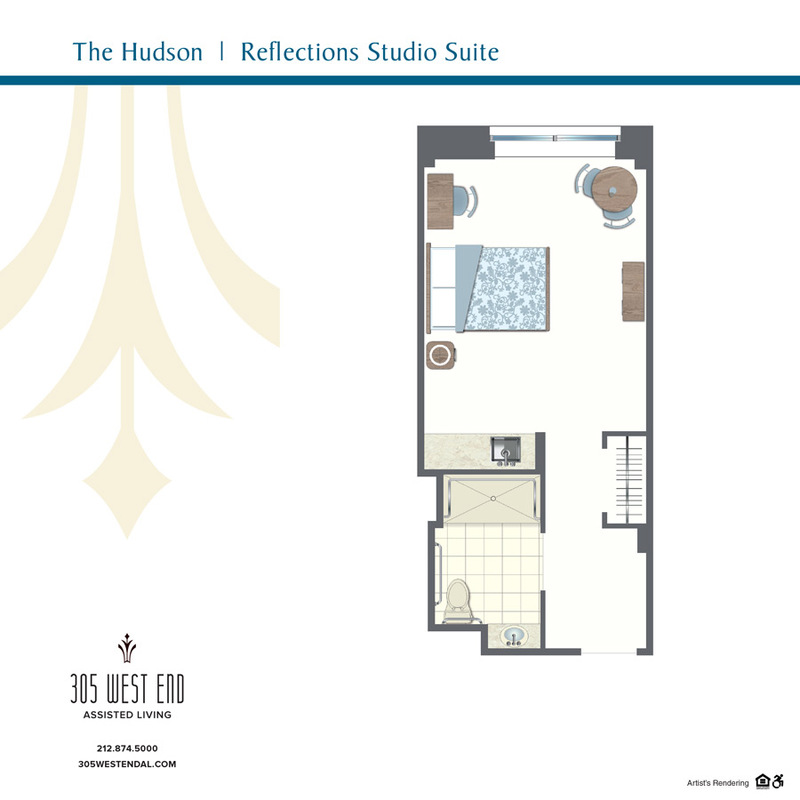 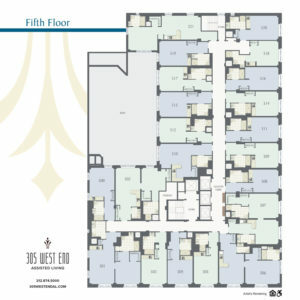 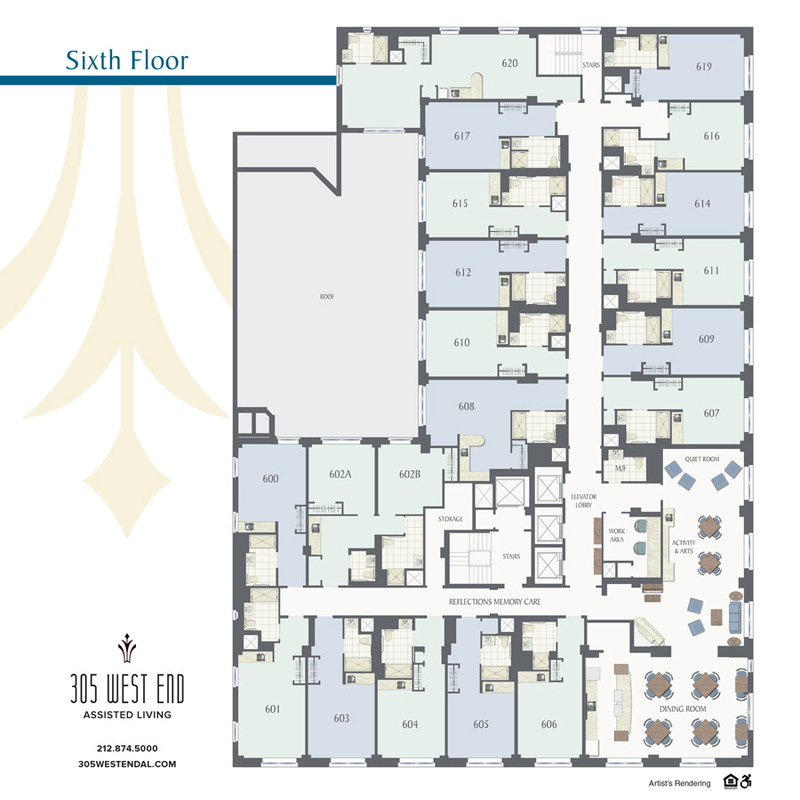 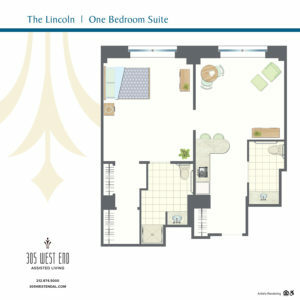 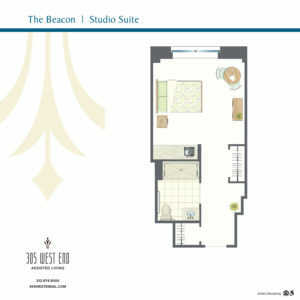 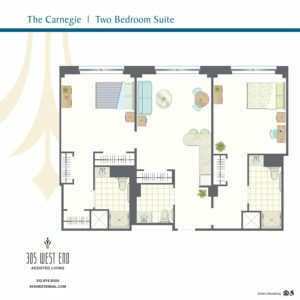 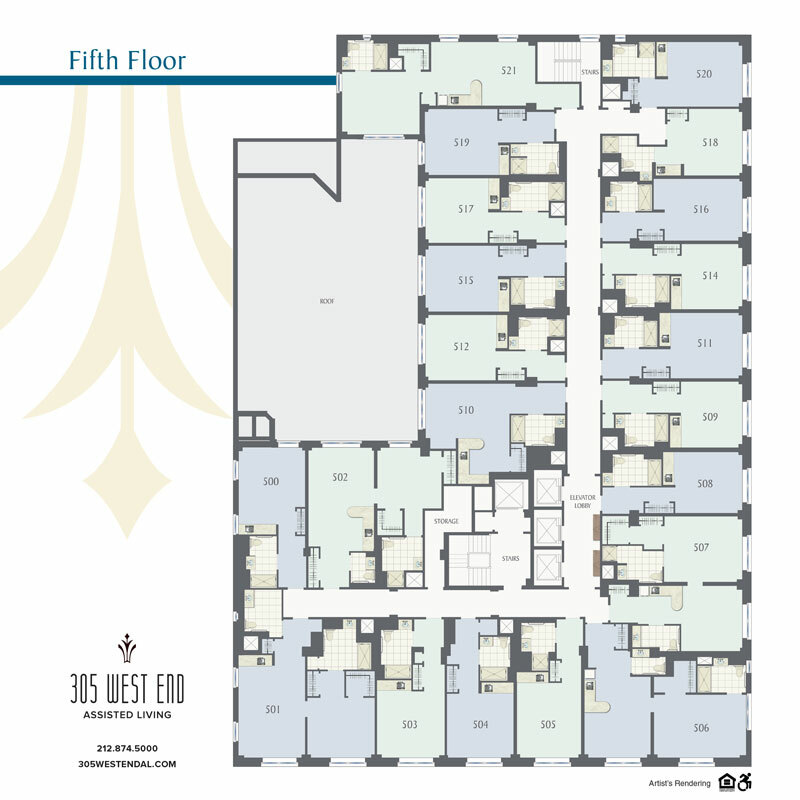 Every aspect of life at 305 West End Assisted Living has been meticulously crafted to offer you the very finest. We have an array of spacious suites for rent, whether you or a loved one desires independent or assisted living or are in need of memory care. 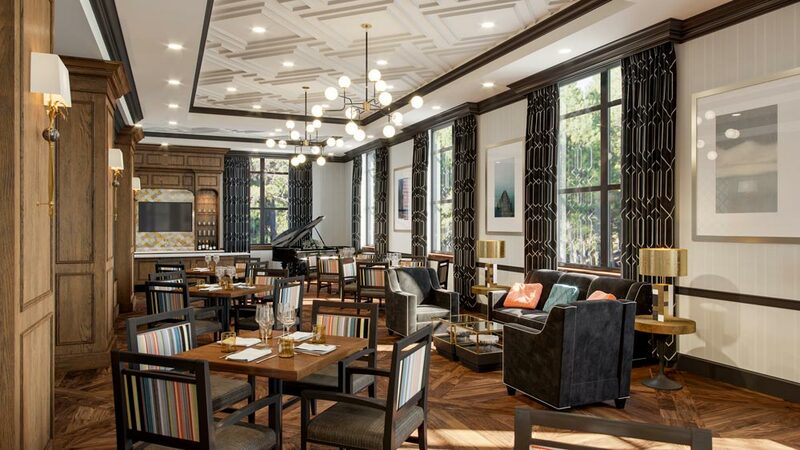 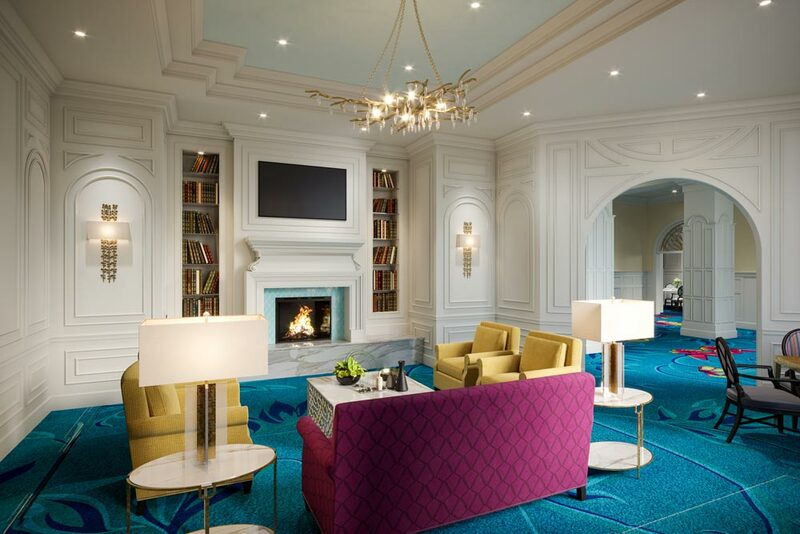 You’ll find all the extras that make living here a truly uncommon experience: a country club dining room, bistro grill, juice bar, fitness center, outdoor terrace, even an on-site cinema and salon. 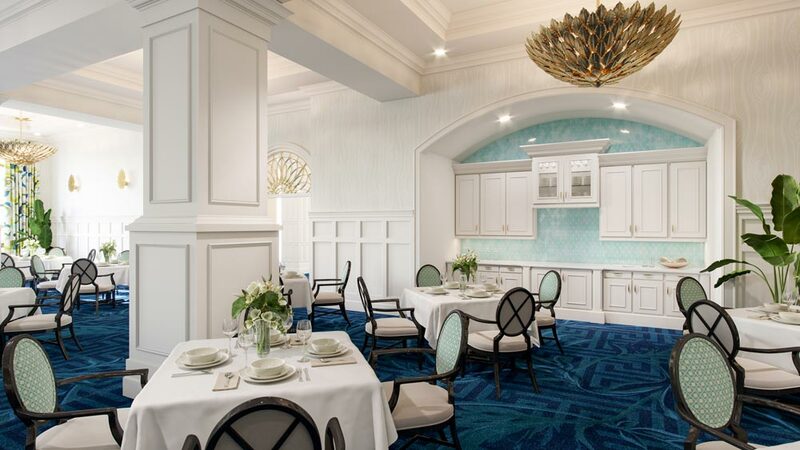 Country club dining room, bistro grill and juice bar. 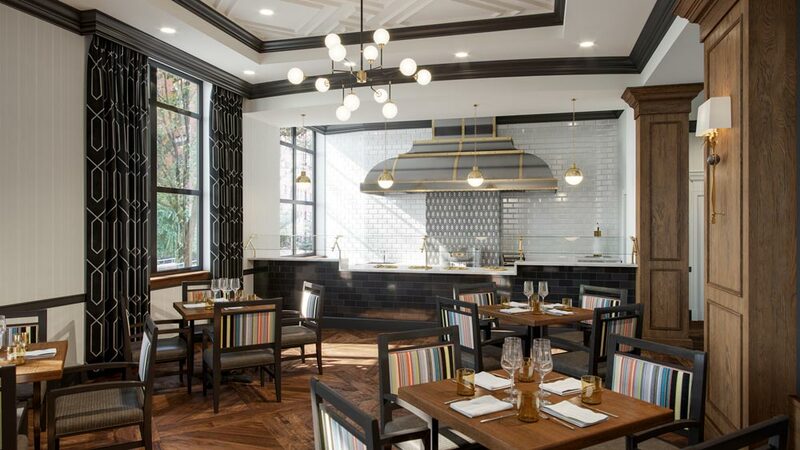 Three delicious meals, nutritionally planned and individually served each day. 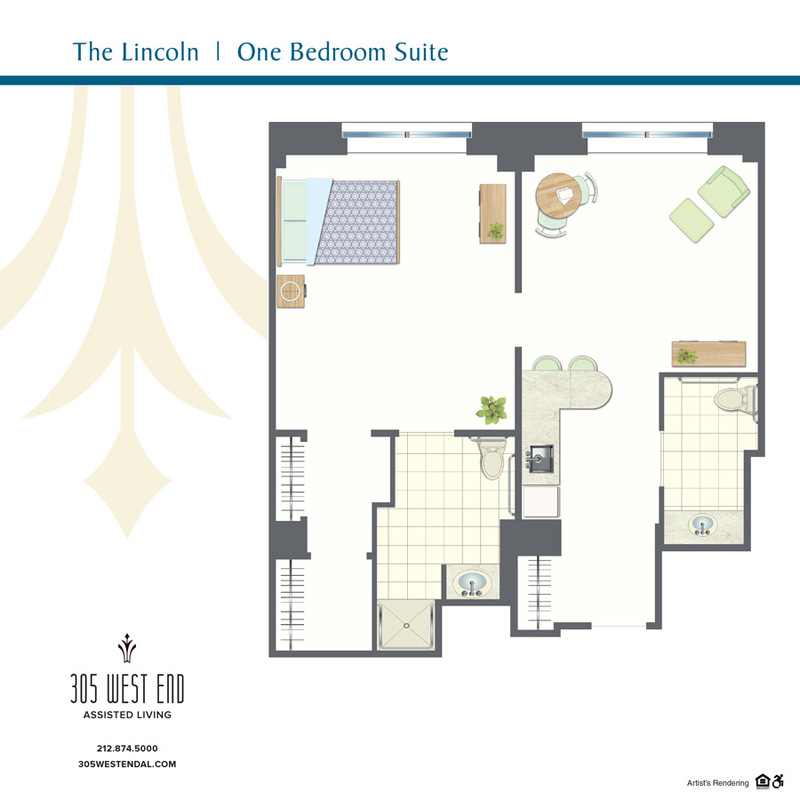 Housekeeping, weekly linens and laundry. 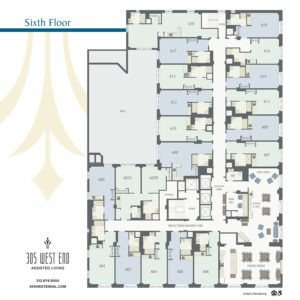 Fitness center, exercise classes and wellness programs. On-site parties, entertainment, evening get-togethers and a variety of educational and social activities planned by your community director of recreation. 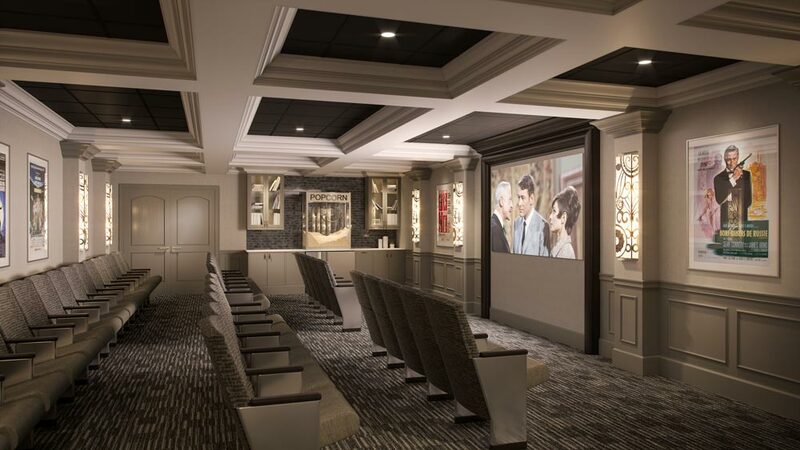 An outdoor terrace, on-site cinema and salon. 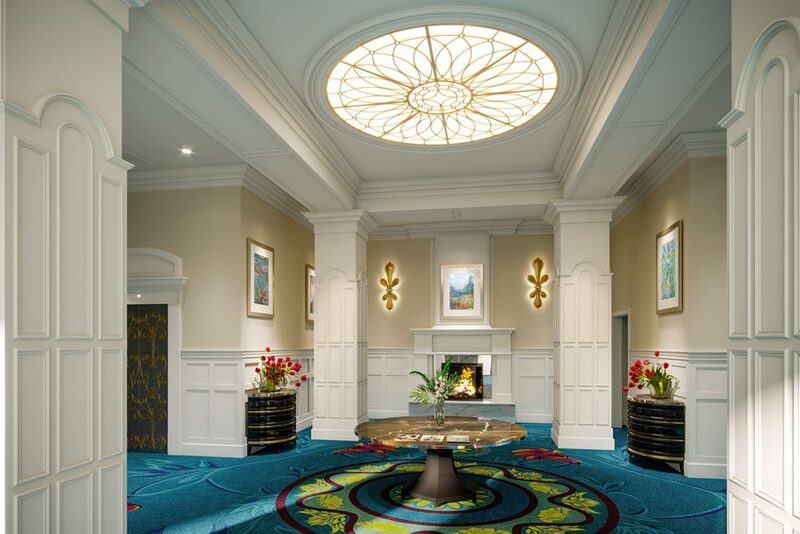 Town car service and motor coach transportation to and from outside activities.